Published on Nov 16, 2016 at 8:25 pm in Medical Malpractice. Every year, the ECRI Institute, the renowned Pennsylvania-based nonprofit committed to “promoting the highest standards of safety, quality, and cost-effectiveness in healthcare,” releases a much-anticipated ranking of the top ten technological hazards in the healthcare sector. Last year, the top spot on the list went to improper sterilization of reusable medical instruments (i.e., flexible endoscopes) resulting in potential infection. This place atop the list was logical given the number of infection cases reported and the U.S. Food and Drug Administration’s issuance of a safety warning on this topic in February 2015. As far as the top ten list for 2017 is concerned, the improper reprocessing of reusable medical instruments actually comes in at number two, ceding the top spot to large-volume infusion pumps, meaning the computerized devices tasked with delivering controlled doses of everything from nutrients to medications intravenously. According to the ECRI Institute, while steps have been taken by manufacturers to improve the design and functioning of infusion pumps, errors can — and do — still occur, including a potentially deadly condition known as “IV free flow” in which medication flows uncontrolled to the patient. The report indicates that while infusion pumps were often directly to blame in many incidents, hospital staff could have also prevented many others through simple vigilance, such as checking the drip chamber located underneath the medication reservoir for indications of free flow or better utilizing roller clamps on IV tubing. 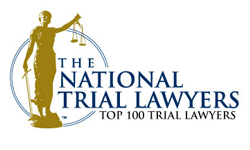 If you were seriously injured or lost a loved one to any one of these hazards or another form of medical negligence, consider speaking with a skilled legal professional to learn more about your options for seeking justice.